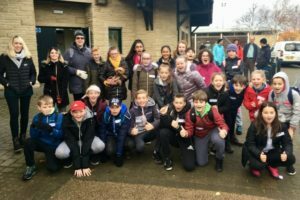 On Saturday 10th November 25 pupils, 8 parents, 4 dogs and 6 members of our staff walked 10km together from UCLan Sports Arena to Avenham Park to raise money for Animal Care at OLCHS. The walk had previously been postponed due to stormy weather, so we were very lucky to have clear blue skies this time; even if it was a little chilly! We look forward to seeing how much money has been raised to support the cost of our many animals in school, whom many of our pupils spend their lunchtimes working with!